On Sunday, April 10, and Sunday, April 17, potential buyers can increase awareness on both neighborhoods and search through new listings via a meet-and-greet and open house sightsee. Exclusive listings featured throughout the Expo are presented by Citi Habitats, Douglas Elliman Real Estate, Halstead Property, SKNY Real Estate, The Corcoran Group and Warburg Realty. The first weekend will explore East, Central and West Harlem, and the second will allow attendees a look into Washington Heights and Inwood. For its fourth year, The Real Estate Board of New York (REBNY) and is hosting a free, open house event for future Harlem and Washington Heights homebuyers in mid-April. On Sunday, April 10, and Sunday, April 17, potential buyers can increase awareness on both neighborhoods and search through new listings via a meet-and-greet and open house sightsee. 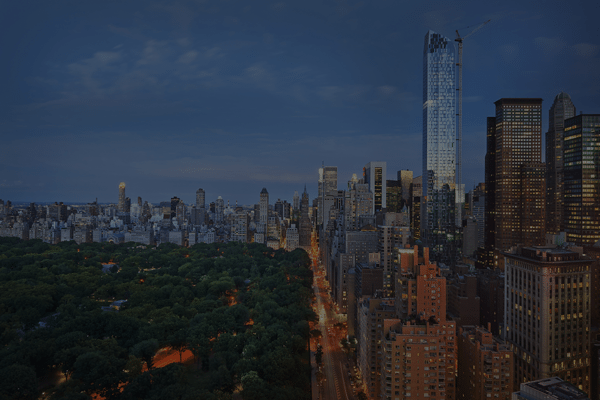 Both events include the intro, followed by a self-guided tour through select co-op, condo and townhouse listings in uptown Manhattan. “Harlem, Washington Heights and Inwood have increasingly become top choices for New Yorkers, young and old, who are seeking welcoming neighborhoods, quality homes and ease of access to all other areas of New York City,” said Brian Phillips of Douglas Elliman Real Estate and co-chair of REBNY’s Upper Manhattan Committee. Together with Citibank, the Harlem Meet & Greet will be hosted at the Row House Restaurant at 2128 Frederick Douglass Boulevard. From there, guests will go on a self-guided tour from noon to 5 p.m.. In East Harlem, open houses range from East 96th Street to 138th Street and 5th Avenue to FDR Drive. Central Harlem tours will run from West 110th Street to 155th Street and 5th Avenue to Amsterdam Avenue. West Harlem’s span West 120th Street to 155th Street and 5th Avenue to Riverside Drive. The second event, held on April 17, begins at 10 a.m. at the Malcom X and Dr. Betty Shabazz Memorial and Education Center at 3940 Broadway at West 165th Street. The meet-and-greet, sponsored by First Republic Bank, ends at 11:30 a.m.
Washington Heights and Inwood house-hunters will tour open houses between West 155th and 218th Streets, from the Hudson River to the Harlem River. “This year’s expo will be decorated with beautifully renovated co-ops, free market condominiums, and single and multi-family townhouses offered at various price ranges,” said Charlie Lewis of Warburg Realty and co-chair of REBNY’s Upper Manhattan Committee. Registration for REBNY’s Open House Expo on Sunday, April 10, in Harlem and Sunday, April 17, in Washington Heights & Inwood is still open.